The American Standard Green Tea 4 in. 2-Handle Low-Arc Bathroom Faucet in Chrome offers Japanese design and comfort. The faucet is WaterSense certified and features a 1.5-gallon per minute water flow rate to help reduce water use. The ceramic disc valves help eliminate drips to further conserve water, and the faucet includes a Speed Connect drain for quick installation. Also available in store by special order only see store for details. 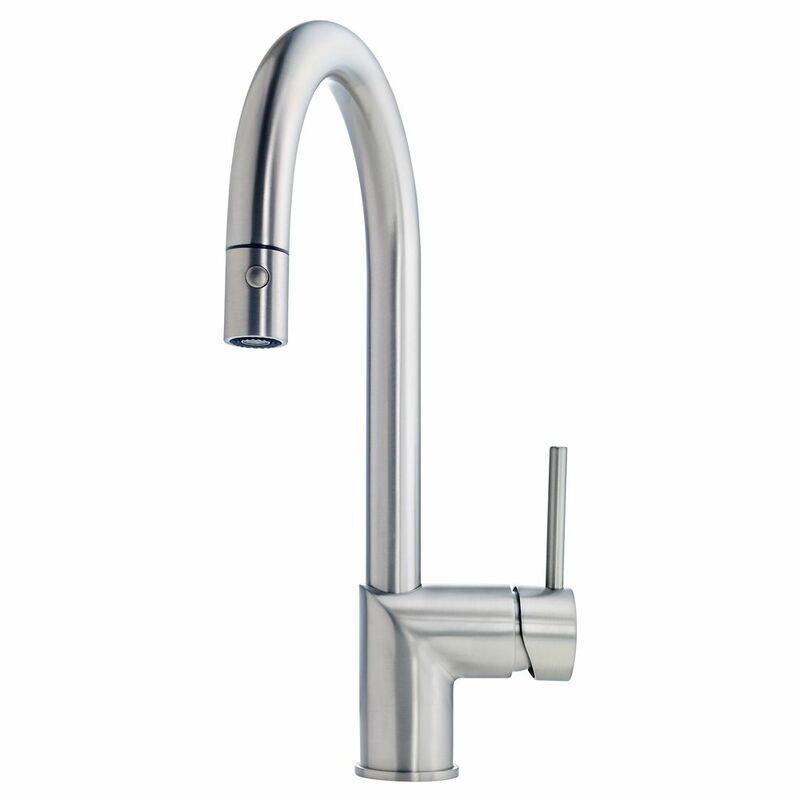 Gooseneck pull down faucet SN Pull down, single pole spray faucet, finished in Satin Nickel. Faucet features solid brass construction, easy to change out ceramic disc cartridge, backflow prevention, and dual spray/stream flow. Spray head extends to 24. Certified by cUPC<sup></sup>. Lifetime mechanical warranty, and 2 year warranty on decorative finish.